Broadbridge is a hamlet within the Parish of Bosham in West Sussex and is located to the north of the A259 Chichester to Emsworth road. Broadbridge is a compact settlement situated on a relatively flat coastal plain, located north of Bosham village bounded by the A259 to the south and the railway line to the north. Fields of varying sizes surround the settlement. There are views north toward the South Downs and to the east of Chichester Cathedral spire. The settlement can be divided into three broad areas: the original linear development along North Road, the more formal grid extensions to the East and more recent pockets of infill development on former railway land to the north, and the mill site to the west. Housing is mainly twentieth century, reflecting the development of Broadbridge after the establishment of a larger station goods yard at the beginning of the twentieth century, with older properties in North Road, Gifford Road and Penwarden Way. Later development includes Arnold Way (the old goods yard) and Broadbridge Mill and Stanbury Close to the west, overlooking the Bosham Stream. Station Road links the railway station to the A259 and includes a parade of shops and a pub. Open spaces at Old Bridge Road and Brooks Lane contribute to the settlement’s character. There is ribbon development to the south along Main Road/ Delling Lane and Ratham Lane to the north. There are 2 regular daytime bus services (700, 56) linking to Southbourne, Havant & Chichester (Most frequent daytime service, every 30 minutes). Evening service. Village has good road access to A259 to Chichester and Emsworth. 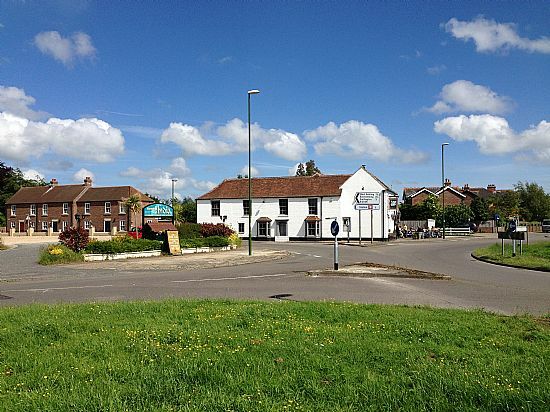 About 5 km from Chichester city which has a broad range of shopping, employment, secondary schools & higher education, health facilities, leisure and cultural opportunities.